Mansfield Town manager Adam Murray felt his side were robbed of victory against Northampton on Monday after ‘embarrassing’ refereeing decisions cost them all three points. Two Matt Green headers from two poorly-defended free-kicks gave the Stags an early 2-0 lead before second-half goals from Ricky Holmes and John Marquis earned the Cobblers a point. But it was referee Darren Handley who felt the brunt of Murray’s frustration afterwards. 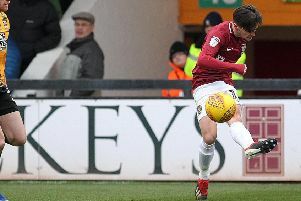 The Lancashire official sent off Jamie McGuire for two bookable offences before half-time and then awarded Northampton a second-half penalty, which Holmes dispatched, for a foul on James Collins. “I felt we were robbed,” said Murray. “It was never a penalty in a million years. Jamie has made two fouls and he has booked them both. “One of their players made six fouls in the first half and didn’t receive one. These are the decisions that cost you games and it’s embarrassing. “Before their second goal there was a foul on (Krystian) Pearce before it went out for a corner. “We have to be careful as we are the ones who get in trouble for speaking what we see, but I know that Chris Wilder knows what Jamie McGuire is like and so every time someone went near Jamie they fell on the floor holding their face and within four seconds they were back up again. “Is it gamesmanship? I don’t know but I feel we’ve been done there. “You look at the penalty. The lad has let the ball run through and he’s run into Krystian. It’s never a foul. Murray did have praise for the table-topping Cobblers despite those comments, but he couldn’t hide his disappointment after watching Mansfield surrender a 2-0 lead, especially as he knew there were certain areas which his side could ‘get at’. 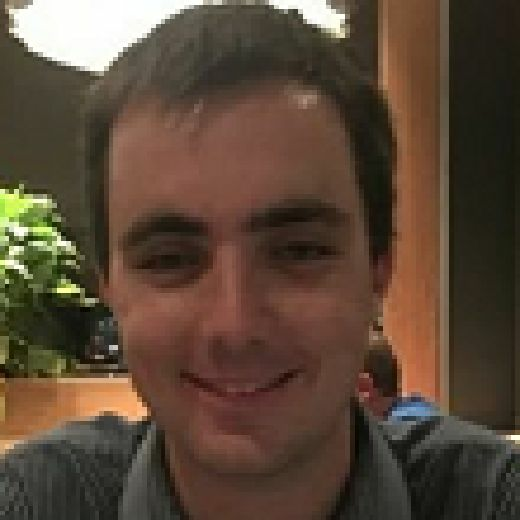 He added: “One of their strengths is set pieces, but we knew there were certain aspects where we could get at them in general play and from dead ball situations. “We work on our set plays a lot; delivery was great, bravery was great and we scored two very good goals. “They’re disappointed they haven’t won it because I felt our first half performance deserved that. With ten men against someone like that, you’re always going to be under the cosh. “They believe it should’ve been three points. That’s a gutting feeling, but that’s a building block to finish our season off strong against a team like that. “Let’s be honest, like we said before the game, they (Northampton) don’t lose football matches, they’ve been fantastic all season and you take your hat off to them for that.